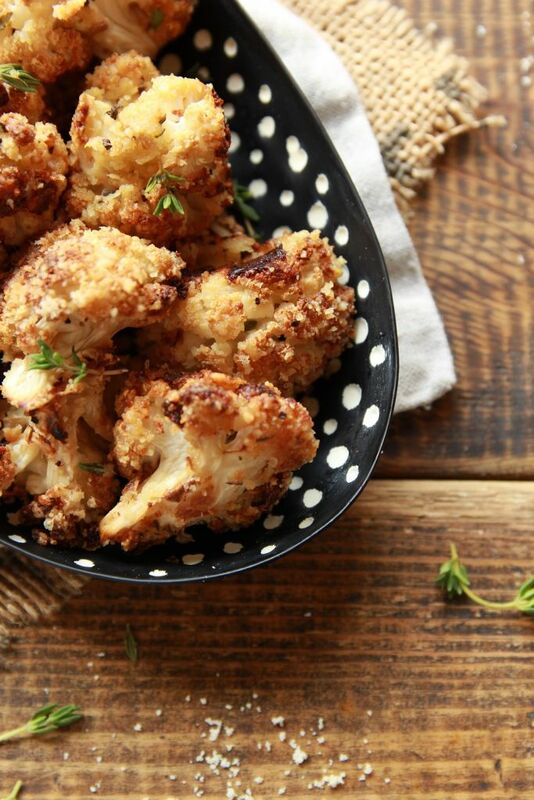 Nutty Oven Roasted Cauliflower – Gluten Free! Inspiration sometimes hits me while I’m foraging through my fridge, looking for vegetables and produce that are about to expire. So, the other day, while going through my fridge, I noticed a cauliflower which wasn’t in its finest hour and decided to switch on the oven and bake some oven roasted cauliflower. Ok, that’s great, but how would I season it? I wanted to spice things up a bit, rather than making my usual oven roasted cauliflower. One step at a time, I told myself, at least I know what I want to cook, the rest will follow. So, I played some music in the background and started breaking off bite-sized cauliflower florets. After washing the florets, I seasoned with sea salt and ground black pepper, then added olive oil and a splash of sesame oil, along with some crushed garlic, and fresh thyme leaves. That’s when it occurred to me to add the nutty crumb topping! I mixed together a small amount of nutritional yeast and almond meal, added it to the florets, and tossed them until combined. 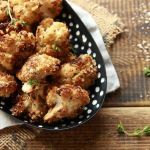 These roasted vegan cauliflower florets perfectly compliment any main dish and are heavenly in a sandwich. If you make these be sure to tag me on Instagram @lets_brighten_up or leave a comment below. Preheat the oven to 320 degrees F (160 C). Wash and cut the cauliflower into bite-sized florets. Crush the garlic cloves, then place them both in a bowl. Add the sea salt, ground black pepper, thyme leaves, olive oil and sesame oil. Next, add the nutritional yeast and a 1/4 cup of the almond meal, then add them to the bowl and mix well until combined. Place your florets onto a baking tray lined with baking paper, then evenly sprinkle the remaining almond meal. Pop into the oven until golden brown on one side. Turn each floret onto the other side and pop back into the oven until golden brown. 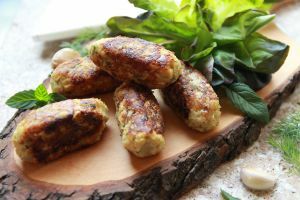 Take the tray out of the oven and serve with a few salads, my delicious vegan fish fingers, my chickpea burgers, or however you wish. Store in an airtight container in the fridge for up to 5 days, and enjoy throughout the week. 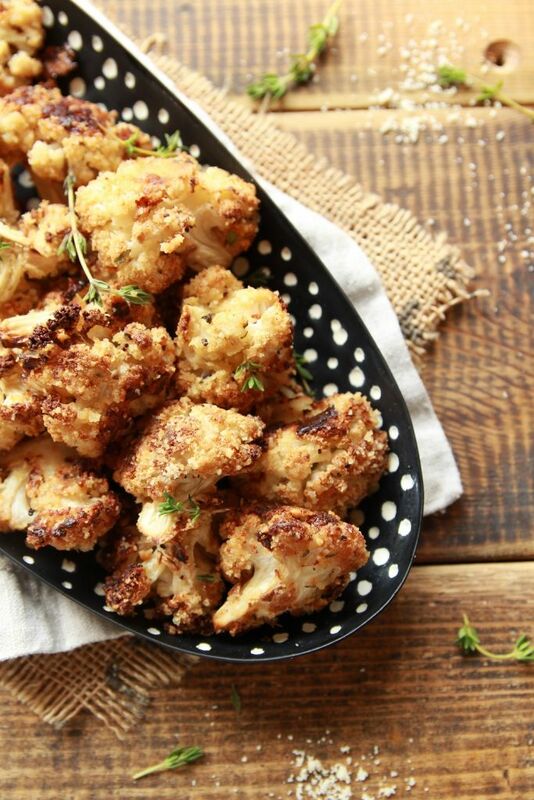 Oven Roasted Nutty, Vegan Cauliflower Florets. 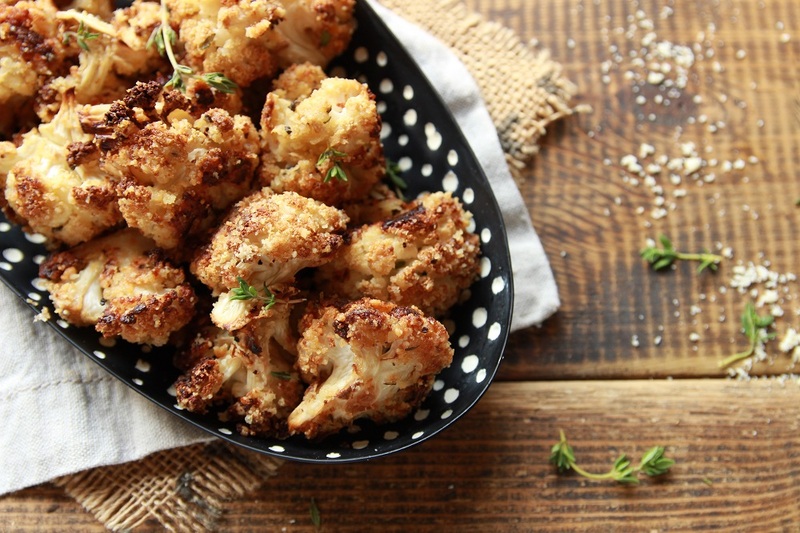 The best and only way to roast a cauliflower again! Wash and cut the cauliflower into bite-sized florets. Crush the garlic cloves, then place them both in a bowl. Add the sea salt, ground black pepper, thyme leaves, olive oil and sesame oil. Add the nutritional yeast and a 1/4 cup of the almond meal, then add to the bowl and mix well until combined. ← Oil Free Date Cookies With Toasted Walnuts! I often roast the cauliflower with the spices in the oven..But I have never added almond meal to create that lovely crumb on the top.. 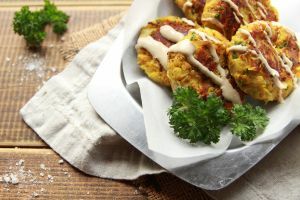 The cauliflower look so crunchy and yummy! I LOVE your recipes!! Please come and have a long holiday in Perth….Tsipi, Hanne and I would love you to be our executive chef!! You are very creative, and I’m impressed with your amazing styling and photography..
Do you think you could dream up a gluten free vegan rugelach recipe?